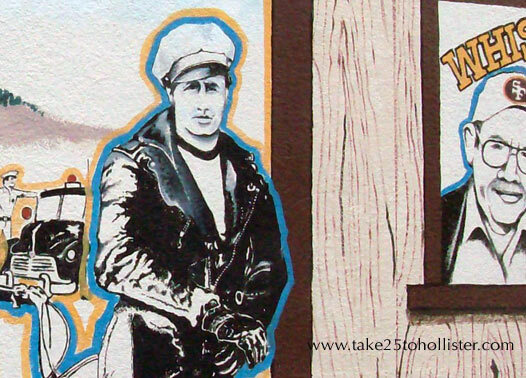 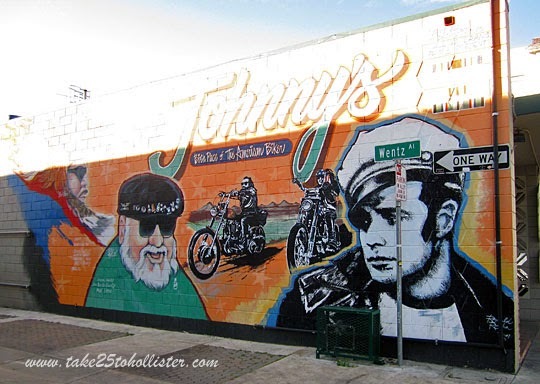 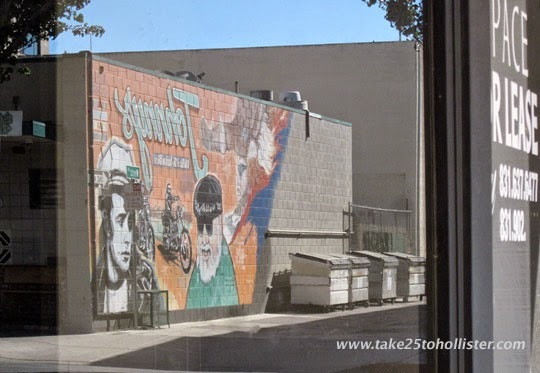 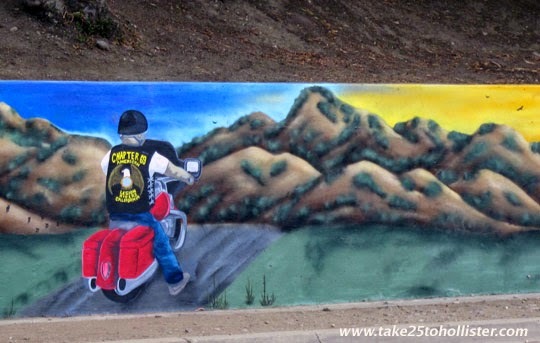 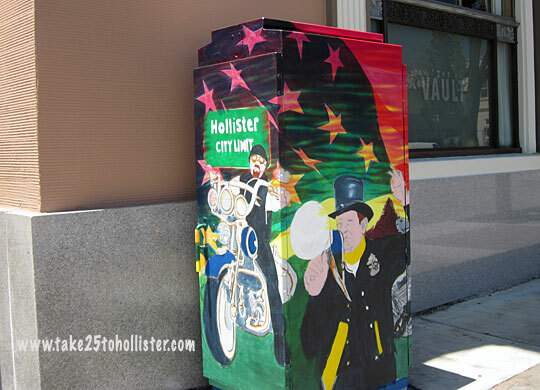 The utility box on the corner of San Benito and Fifth Streets now wears a fun mural honoring the biker history of Hollister. 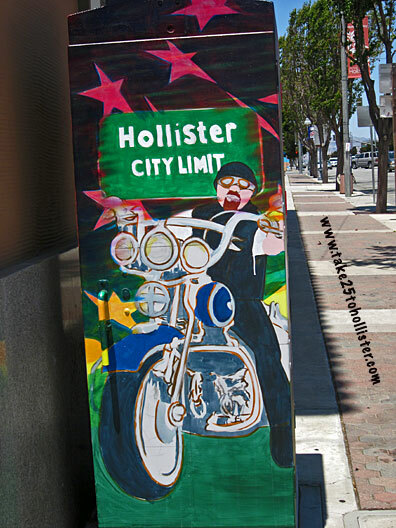 It's the third of five utility boxes that are part of a mural art project funded by the City of Hollister. 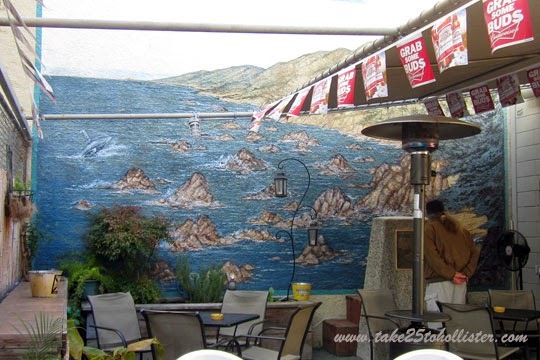 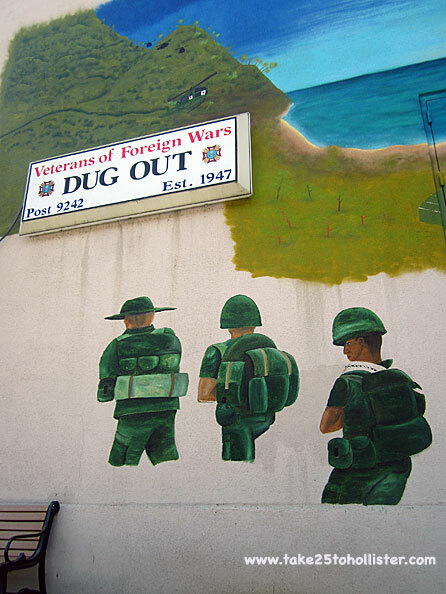 The murals are painted by local artists Joel Esqueda and Roland Resendiz. 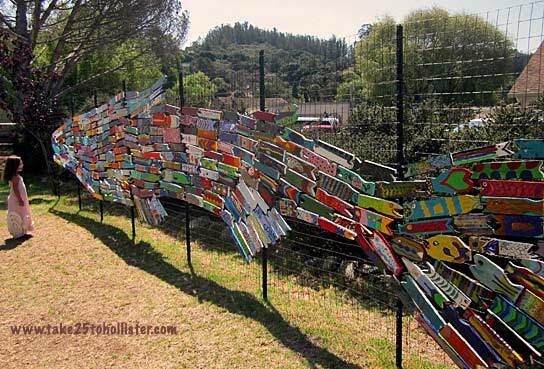 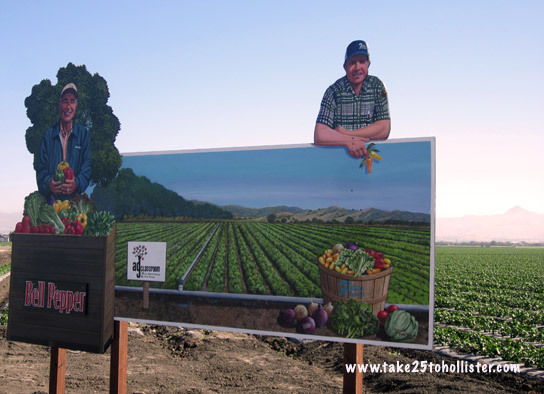 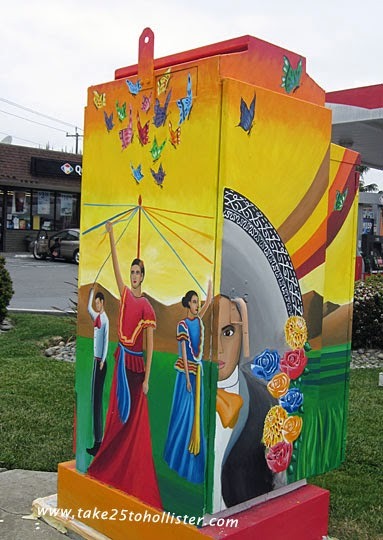 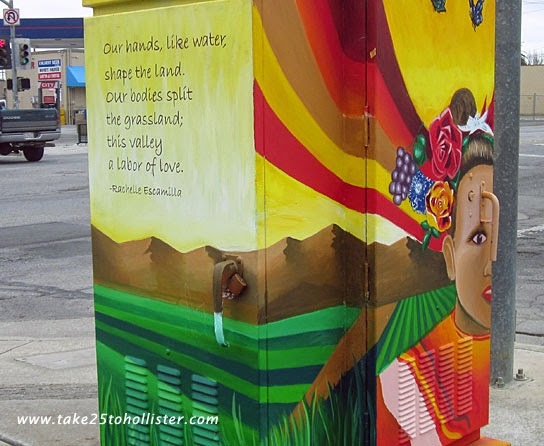 Each utility box sports a theme that represents the culture and history of Hollister and San Benito County. 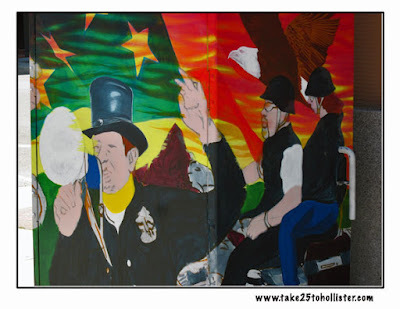 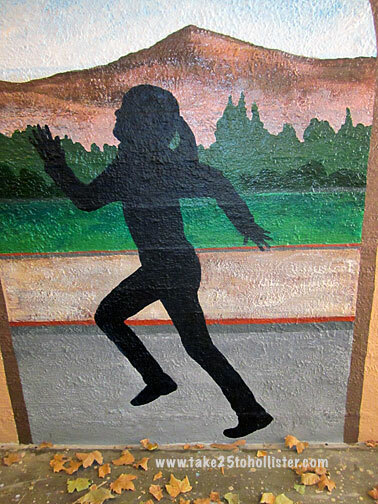 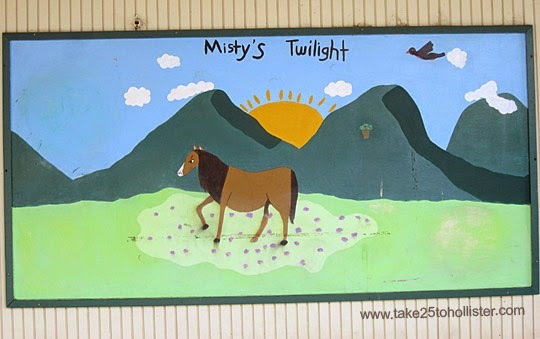 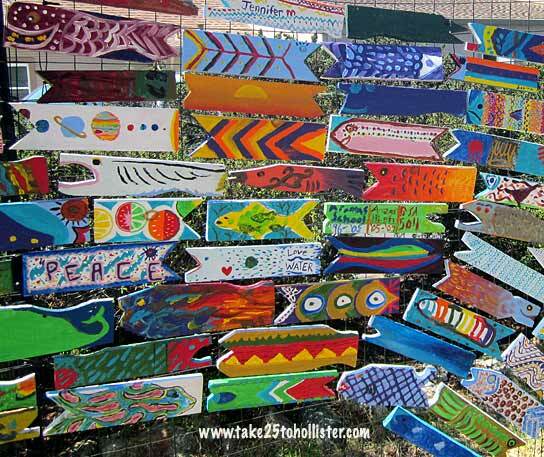 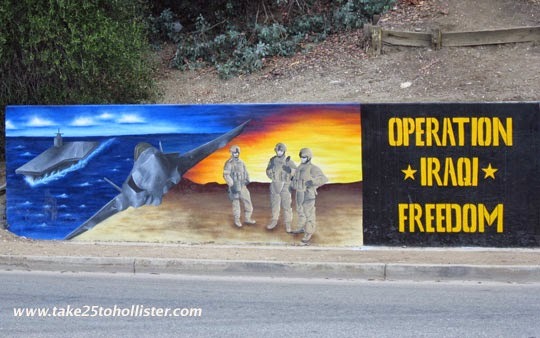 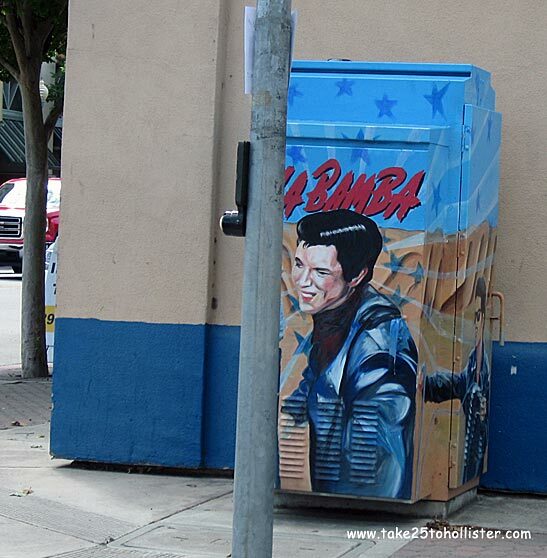 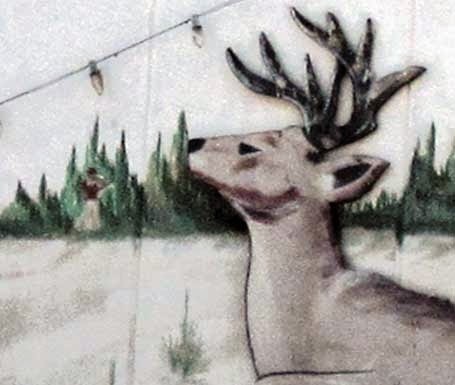 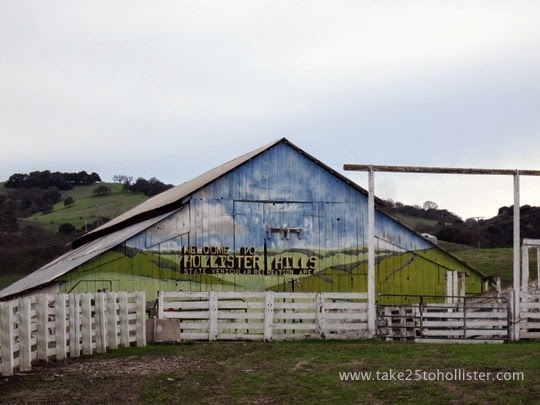 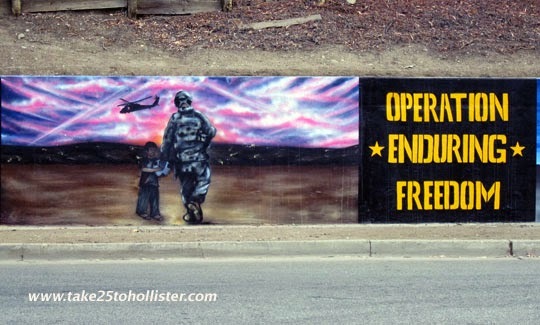 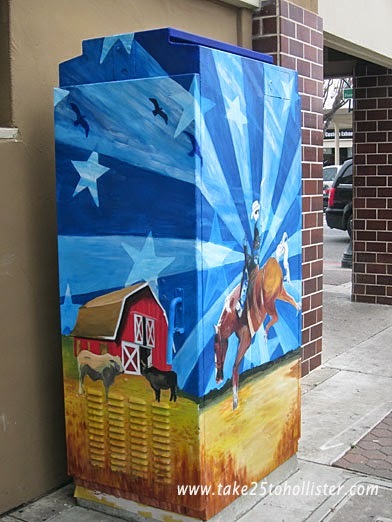 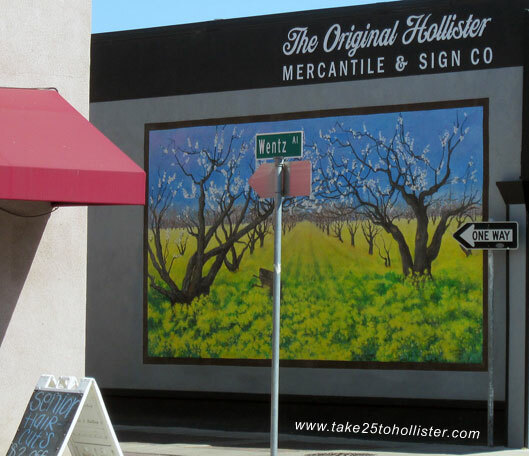 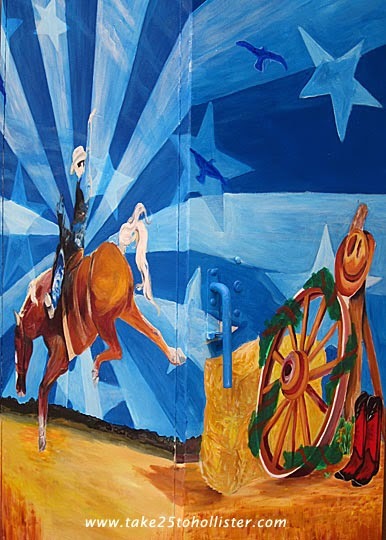 Click here to see two other utility box murals already completed in Downtown Hollister. 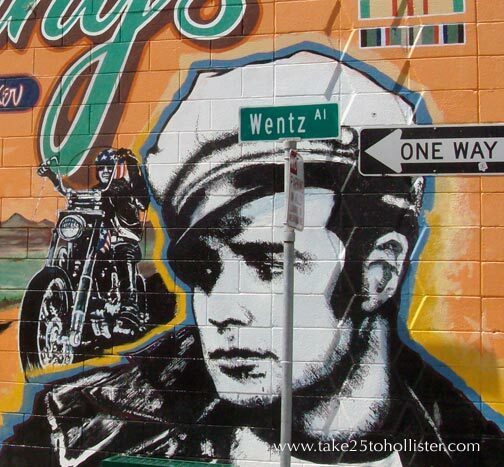 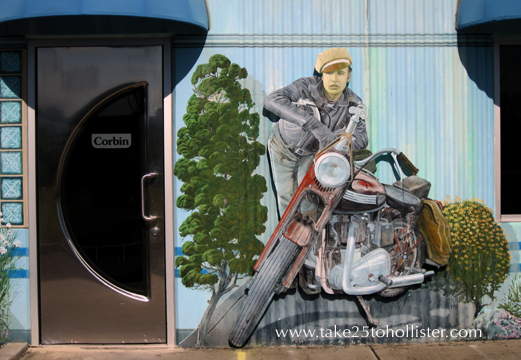 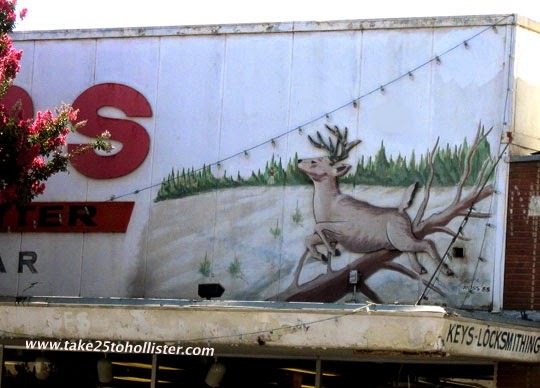 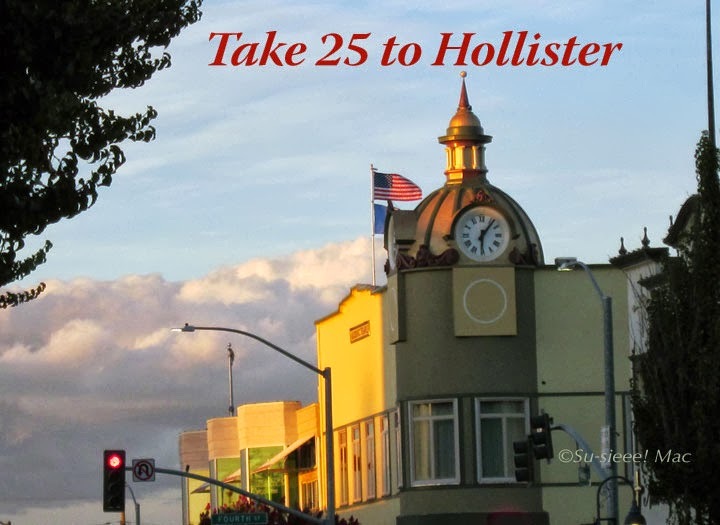 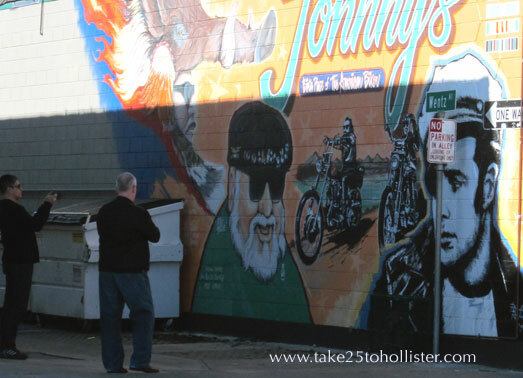 If you're interested in learning about Hollister's biker history, click here. 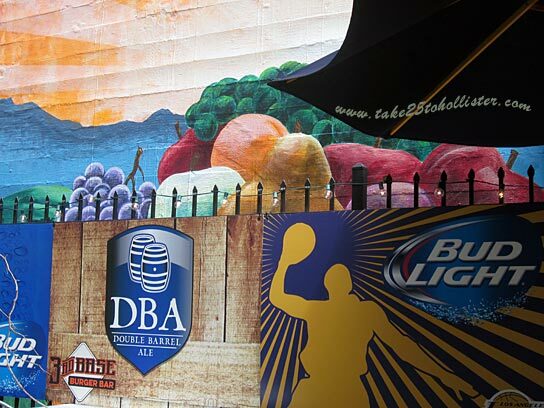 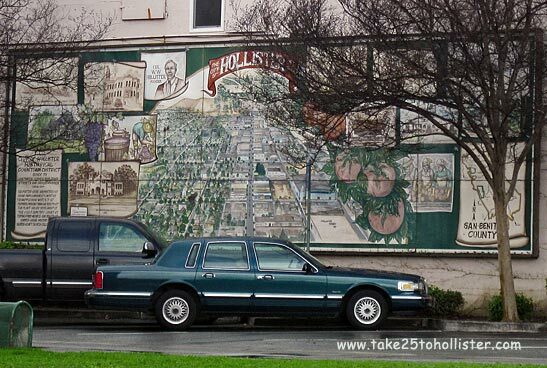 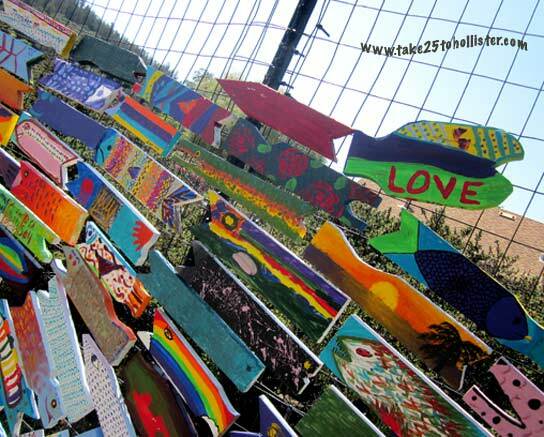 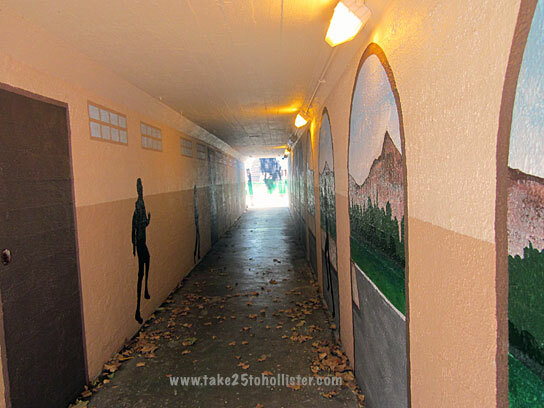 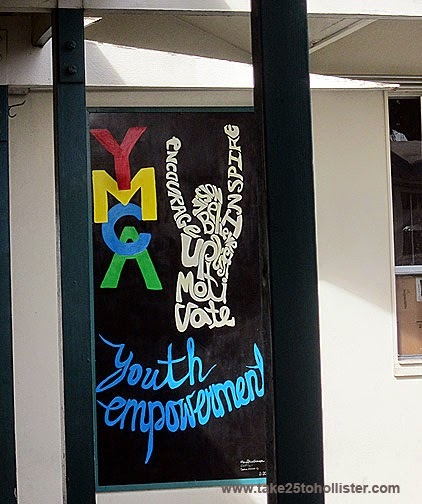 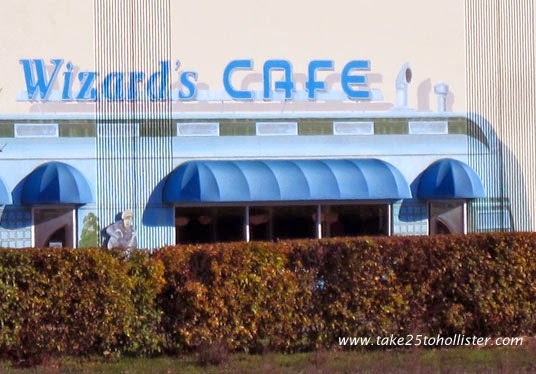 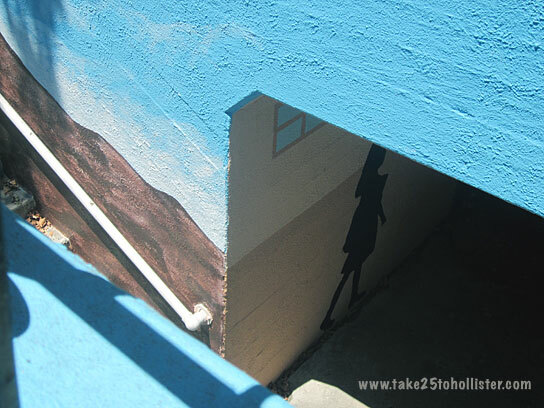 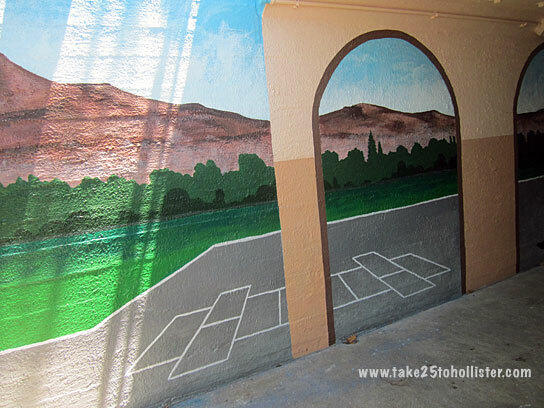 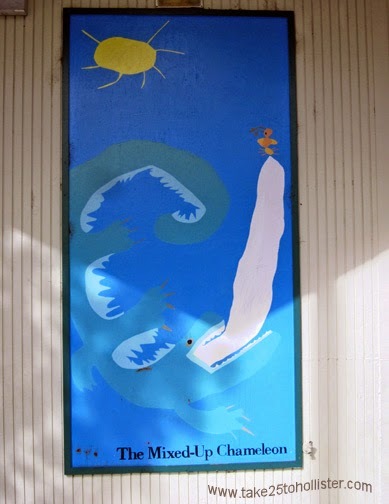 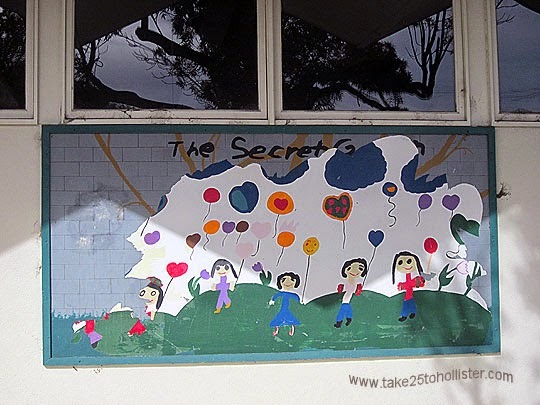 I'm participating in Monday Murals, hosted by Oakland Daily Photo. 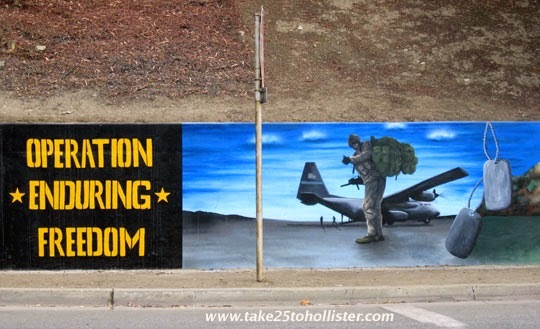 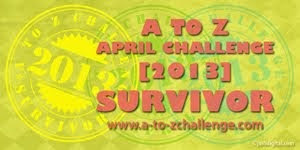 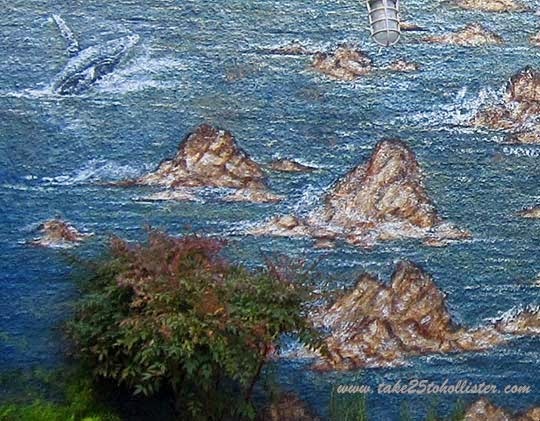 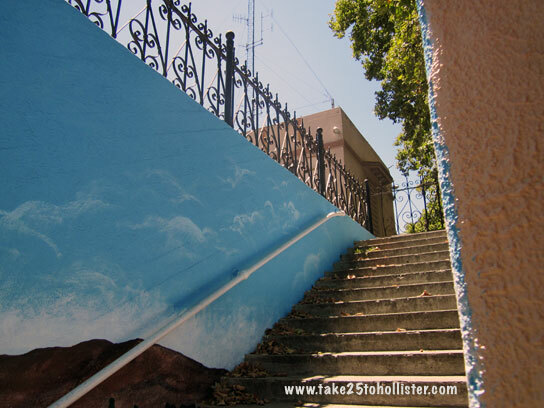 To see other murals from around the world, click here.